Tips for backpackers in Christchuch! The city of Christchurch has found a second breath of life since the devastating 2011 earthquake. Artists have come out of the shadows and taken over the streets. Many backpackers extend their stay in the city as jobs are plentiful. Plus, the best of the South Island is within a few hours’ drive only. However, many still have a mixed review about the city. While some struggle to find the right spots where “it” happens, others are completely unprepared. We’ve asked Vicky, who’s managed a hostel in the city for over two years, to compile some tips on how to make your stay in Christchurch a great one. Go to check out a live bands who are often playing in bars. Go to the beach! Christchurch has many awesome beaches including Sumner and Taylor’s Mistake. Relax in the Christchurch Botanic Gardens. Visit the Canterbury Museum: it’s free an educational! Hike the Bridle Path for a vantage point of the city. For more things to do, head to 15 Free or Cheap Things to do in Christchurch. We’ve all done it and I’ll admit it myself. You’re fully organised and starting your trip: suitcase or backpack in hand and ready to go. You’re pretty sure you’ve thought of everything and then you get on the plane, train or bus and suddenly realise you’ve forgotten to book accommodation! Either that or you think you can get away with booking in somewhere when you get there. In most cities in New Zealand, especially the North Island, you can get away with it but not Christchurch. I know it sounds daft, but even in the winter it is hard to find accommodation on the day and there is nothing worse than having to drag your giant overfilled backpack around the streets looking for a bed. 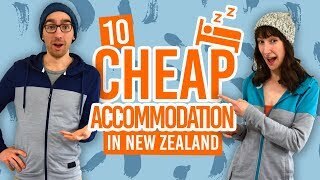 Given that most of the hostels are on the outskirts of the city, after walking the length of Hagley Park and back again and not finding anything, you’re ready to pay $150 for a motel. The solution? Booking even three days in advance will stop you stressing on the day about accommodation. My best tip: if you’ve checked every website, called every hostel and nowhere has space, don’t just head here and hope for the best. Stay one more night where you are and see if anywhere will take you the night after. Now I’m not saying you have to ditch it entirely, but just for the city centre. Cars are great for getting to those hard-to-reach-places in Christchurch, like Taylor’s Mistake, Sumner Beach or Lyttleton, but around the city you’ll hate yourself for even trying to drive to Pak’nSave. Since the Earthquake, we’ve had a lot of roadworks and take it from someone who’s lived here as long as I have; you start to swear the one way systems and diversions are changing on a daily basis. So leave your car at the backpackers and walk into the city. If you’re staying somewhere outside the city like the beach or a holiday park, drive as close to the city centre as you can, then park up and walk. Just don’t forget where you parked your car! You can also check out the public transport options in Christchurch here. This one is probably a given for most travellers. You’d rather not get on a giant bus with diehard tourists and listen to some guy tell you stuff you could probably find in the pages of your travel guide. In most cases and most cities, I’d probably even agree myself. Christchurch however, is entirely different. The tours don’t just span the city centre. A lot of them head out and around, taking you to the beach or over the Port Hills, so you don’t just see the same boring buildings and museums as the last city you visited. You actually get a feel at how beautiful Christchurch really is. Most of the drivers are really friendly and they could probably tell you a story or two from the earthquake. Tour options vary from huge double decker buses to the more personal 10-passenger buses. Ask your hostel staff for advice on which one to take and you may even bag a discount on booking too. This one I’ve only put in as it is a great thing to know in advance about Christchurch. It’s not really a tip for having a great time in Christchurch, but more a tip to help those who have booked an early morning flight out of New Zealand. The airport in Christchurch is very different from other New Zealand airports. In most New Zealand airports, if you’ve got an early morning flight, you can head there the night before and get away with spreading out across the floor somewhere to get some sleep until check-in opens at 4am. Not in Christchurch! They do not allow anyone to sleep in the airport overnight. So no lying down and you can’t pull out the sleeping bags or blankets neither. If they see you getting comfortable, you’ll be asked to leave immediately. Save yourself the stress and find a hostel for the night before. A good night’s sleep before a flight is worth it for the cost of a shuttle and accommodation. Full information on this issue can be found on the Christchurch Airport website. I am writing about this for all the quiet travellers we have staying with us in Christchurch who don’t want to rock the boat. You need to ask about everything. Don’t worry about annoying the staff at your hostel. They are there for you to speak to about issues. If your hostel offers breakfast but you don’t know where to go to get it, ask. If you’re not sure how to get somewhere, ask. Take it from someone who works in a hostel: there is nothing worse than seeing reviews of hostels or even the city itself that have complaints about issues that could have been resolved. You just feel bad that those guests could have had a better stay and enjoyed themselves more. This is a huge one for Christchurch and for you. To get why this is a big issue you have to understand that there still isn’t really a centre to Christchurch yet. As I mentioned before, all of the hostels in Christchurch are located around the outer parts of the city. This means that most of them are nestled in residential areas. So if you are enjoying yourself in the garden of your hostel and drinking alcohol at night, try and keep the noise down and respect the fact you will have families living next door. The louder you are the more restrictions the hostel has to enforce. Besides, Christchurch has lots to offer on the bar scene! 7. Finally, relax and go with the flow! Enjoy yourself! Respect all the rules put in place in your hostel and please remember that not all guests at your hostel are going to be as respectful as you are. So if anyone, staff or guests, are making your stay unpleasant in any way, politely make a staff member aware of what is going on so they can make your stay more enjoyable. Don’t expect your hostel to look immaculate on the inside either. A lot of the hostels in Christchurch are run-down looking, generally because they are still waiting to be able to fix the place up after the earthquakes. It may make the place look a little bit less cleanly, but most places are clean and tidy. Want to know more on what to do when staying in the South Island’s largest city? 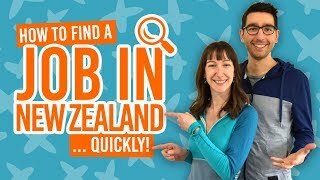 Check out these other BackpackerGuide.NZ articles, wrote just for you!